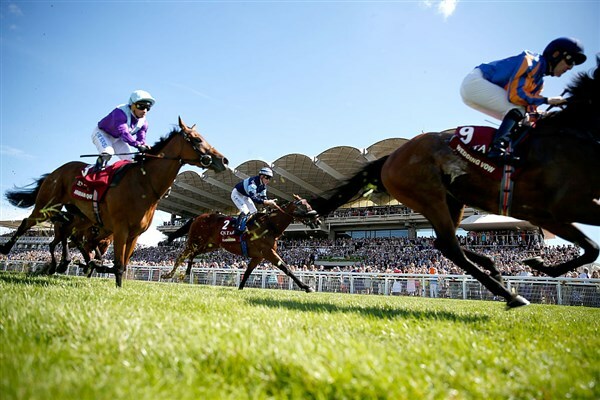 It’s panama hats, pimms, plus strawberries and cream galore at the start of August with the 5-day Glorious Goodwood Meeting (Tues 31st to Sat 4th Aug). As always, the West Sussex track can expect monster crowds throughout the week with a whole host of top-notch contests each day for punters to get stuck into. We continue on Day FOUR with four LIVE ITV races, including the Glorious Stakes, Betfred Mile, plus the Group Two King George Stakes. TQ VERDICT: Eminent has somewhat lost his way since running a close fourth in the Epsom Derby last season and is back up in trip here, from a mile to 1m4f. Connections are clearly scratching their heads with him as he’s a talented horse but with just one win from his last 8 runs now is hard to fancy until we see a return to form on the track. Red Verdon is a consistent sort that has run some decent races in defeat this season and back into a Group Three can’t be discounted. The Eve Johnson Houghton yard are just 1 from 28 with their older horses here so their On To Victory is overlooked, but, in contrast, the Mark Johnston camp do well with their 4+ year-olds so their Rainbow Rebel is respected if running. However, it’s worth pointing out he ran here on Tuesday too and was only fifth in a handicap so a lot more is needed based on that if running. But, really this race looks to be between two – last year’s runner-up Second Step and MIRAGE DANCER. Second Step is a very consistent sort that has finished in the top two in his last seven races (3 wins). He wasn’t disgraced in finishing 1 ½ lengths second to the recent King George winner – Poet’s Word – in this last year and there’s every reason to suggest the opposition this year isn’t as strong. He acts on any ground and is also a proven course and distance winner so has a lot going for him. However, with Stoute training last year’s winner then he’ll hopefully know where he stands with his Mirage Dancer. Ryan Moore has been booked to ride this 4 year-old and he’s also another course and distance winner at the track. He was fifth at Ascot in the Wolferton Stakes after not getting the best of runs and fine second in the Group Two Prince Of Wales’s Stakes at Newmarket last time. This drop in grade will suit and with Ryan Moore the icing on the cake, Mirage Dancer can give Stoute his third win on the spin in this race. TQ VERDICT: With a 27% record with his 3 year-olds at the track then anything trainer Aidan O’Brien runs should be noted but with Ryan Moore booked to ride REGAL REALITY for Sir Michael Stoute then this looks significant. The yard also has a good record at the course with this age group (22%) and they’ve also won this race recently in 2009 and 2016. This Cheveley Park-owned colt won well on debut and despite running sixth next time in a Listed race at Sandown that form has since been franked with the winner – Without Parole – going onto win the Group One St James’s Palace Stakes at Royal Ascot. He was only four lengths adrift of the winner that day but with that coming on just his second career outing then there should be a lot more to offer. Connections clearly feel there is more in the locker and must be thought capable of coping with this rise in grade. Of the rest, Ostillo is another that will be popular after winning his last two in eye-catching fashion. He beat Curiosity by just under two lengths last time at Ascot in the Britannia Stakes and looks well worth a crack upped from handicap company into this Group Three. He’s also linked form against Without Parole after running that horse to six lengths at Yarmouth back in April. Mark Johnston’s Threading gets a 3lb fillies allowance and was an easy maiden winner at this meeting last year. This season he’s run the classy Alpha Centauri to six lengths (2nd) in the Coronation Stakes at Ascot in June but was beaten just over 20 lengths by that same horse at HQ last time. She’ll need to bounce back but will find this ease in grade more to her liking and with proven course form can’t be discounted – James Doyle, who has won on her in the past, gets the leg-up. TQ VERDICT: Ryan Moore has ridden the last two winners of this race, including 12 months ago with Master The World, who lines-up again and his connections have already had a winner at the meeting with Sir Dancealot. Being a proven course and distance winner then this 7 year-old will hold every chance again, despite being off a 3lb higher mark. It’s worth noting the ground was soft 12 months ago though and he’s unlikely to get those conditions this year. 15 of the last 16 winners were also aged 6 or younger, so he’d have this trend to overcome, while 10 of the last 16 winners carried 8-13 or less. Staying with the trends – also look for horses drawn in stalls 9 or lower as 11 of the last 13 winners fitted the bill on that score. With wins in 2009, 2010 and 2012 in the race then anything the Mark Johnston team run should be noted too, while South Seas would have the ability on his best form but has a bit to prove over this mile trip for me. The consistent Escobar should be involved too if running to the form of his recent Sandown second. He gets in off the same mark and ran well in a Group Three at this meeting last season, so we know the track is fine too. The other interesting one, for me, though is CAPE BYRON.This Roger Varian runner flopped at Ascot in the Royal Hunt Cup last time out but he’s since been gelded. This will also only be his third run back after a wind op and with only seven career runs and a few issues then there is every chance this 4 year-old can get himself back on track now. He ticks most of the main trends and could easily progress into being a horse better than a handicapper. Finally, of those a bigger price –FIRE BRIGADE – might also be worth a small interest. The Michael Bell yard have a decent 29% record with their older horses here and this is another that has had wind surgery this season. His turf record is good, from 16 runs he’s won 4 and been placed 9 times and should be a lot fitter for a recent run at Newcastle on the AW after a lay-off. Will Buick has been booked to ride which is a further plus. TQ VERDICT: We can expect the speedy Kachy to make a bold bid from the front, but he could only manage 10th in this race 12 months ago and was down the field in the King’s Stand Stakes last time too. Havana Grey was a good winner of the Sapphire Stakes at the Curragh last time and enters the mix on that Group Two win, while the old boy – Take Cover – has won this race in 2016 and 2014 – so despite now being an 11 year-old has excellent history in this race. We’ve another past winner –Muthmir – going again too but at 8 years-old he’s another that might just get found out by some younger legs – with that in mind, BATTAASH is the call. This 4 year-old is the clear top-rated in the field at 122 and despite having to give 3lbs away for being a Group One winner and 6lbs to the 3 year-olds he’s still got plenty in-hand. He won the Temple Stakes on his return in May and ran well to be second in the King’s Stand Stakes at Royal Ascot in June. He raced a bit free the last day but still had enough to hang on for second and most importantly he is another past winner of this race after landing the pot 12 months ago. Yes, he’s got 6lbs more to carry this year, but he won by an easy 2 ¼ lengths last year and it should be more of the same here. Connections are taking their time with him this year and has been freshened up with 45 days off. It will be a small shock if he’s not taking this. Jim Crowley continues in the saddle.